Walter Morris Schrimsher, age 82 of Athens, passed away on Saturday, February 2, 2019, at Athens Limestone Hospital. Mr. Schrimsher was born March 2, 1936, in Limestone County to Jerry Claude Schrimsher and Una May Wagnon. Services for Mr. Schrimsher are Wednesday, February 6, 2019, at Limestone Chapel Funeral Home at 1:00 p.m. with Mike Davis and Adam Brewer officiating. Visitation will be from 11:00 a.m. until 12:45 p.m. at the funeral home. Burial will be in Bethel Cemetery. He is survived by his wife, Patty Schrimsher; son, Keith Schrimsher (Denise); daughter, Pam Besherse (Mark); grandchildren, Lindsey Schrimsher Sherrill, Katie Schrimsher, Bronson Schrimsher, Roman Schrimsher, Sarah Beth Besherse and Kimberly Besherse; 3 great grandchildren; brother, Jerry Schrimsher (Helen); sisters, Mauvoline Yarbrough and Ruth Myles. Preceded in death by his parents, Jerry Claude and Una Schrimsher; brothers, Homer Schrimsher, Glenn Schrimsher and Clyde Schrimsher. Morris was an educator and coach for 35 years and is a member of the Limestone County Sports Hall of Fame. 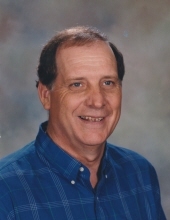 He was a song leader for over 50 years at numerous Churches of Christ as well as conducting singing services for hundreds of funerals in North Alabama. He was a member of Central Church of Christ. He enjoyed playing golf and spending time with his family. Pallbearers are Bronson Schrimsher, Roman Schrimsher, Justin Sherrill, Bill Bullington, Mathew Barrett, Matthew Scott and Perry Scott. To send flowers or a remembrance gift to the family of Walter Morris Schrimsher, please visit our Tribute Store. "Email Address" would like to share the life celebration of Walter Morris Schrimsher. Click on the "link" to go to share a favorite memory or leave a condolence message for the family.